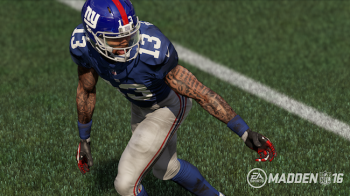 Madden NFL 16 debuts today, and although it’s hard to improve on such an iconic video game franchise, Electronic Arts Inc. continue to make refinements to the gridiron experience. This year, the new Draft Champions enables players to throw a dose of fantasy football into their experience. With the Draft Champions mode, players create their own group of elite players that consists of current NFL athletes and legends of the game. The drafted team can go in competition against the CPU or other drafted players. Other fan favorites such as Madden Ultimate Team and Connected Franchise make their return with respective advance and improvements. Since I’m currently cramming for my own fantasy football draft, I’m excited to check out the Draft Champions feature and hopefully I’ll gain some kind of advantage heading to next week’s draft. Madden NFL 16 is now available for the PlayStation 4, PlayStation 3, Xbox One, and Xbox 360 consoles. Are you excited about Madden NFL 16 or are you simply content with playing an earlier version of the franchise? Feel free to comment below!